A headboard can be the make or break of your bedroom décor. Creating a focal point with minimum effort, it can provide some added comfort when you’re sitting up in bed. 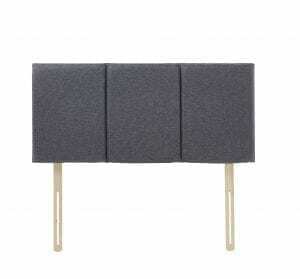 Let Us Furnish has a selection of traditional and contemporary headboard styles in prices to suit every budget. From single through to king size and in colours such as aqua, charcoal, chocolate, granite, mink, platinum, sienna and more, we are sure to have an option to suit your preference. 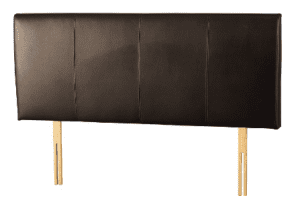 Available in brown, black, cream or ivory, our faux leather headboards will create a more plush and dramatic finish. Wooden headboards are available in a choice of beach, walnut, oak, maple or white, or you might want to opt for our Bristol metal headboard for a more traditional look. Large feature headboards in a fabric design are a great way to dress an otherwise neutral bedroom. 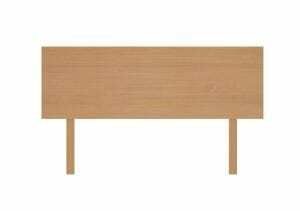 Contact Let Us Furnish on freephone 0800 7819 427 for further details on our high-quality headboards.